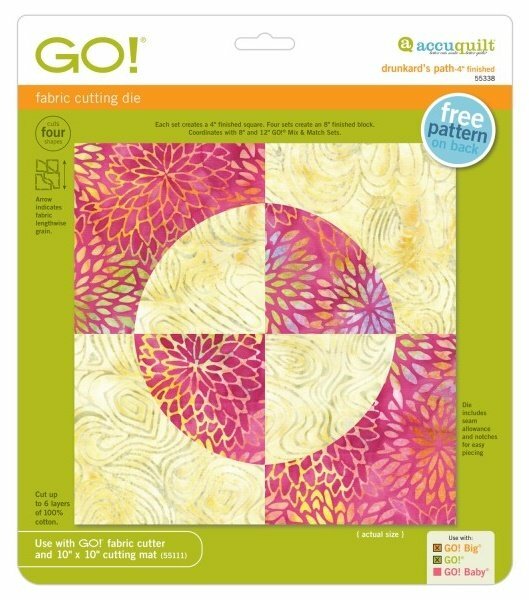 Cut curved pieces quickly with the GO! Drunkard's Path die. Each sewn unit measures 4" finished, you combine four units to create an 8" finished Drunkard's Path Block. But, like all quilting blocks, there are endless variations in design depending on your layout and color choice. Get ready for never-ending inspiration with the GO! Drunkard's Path die!